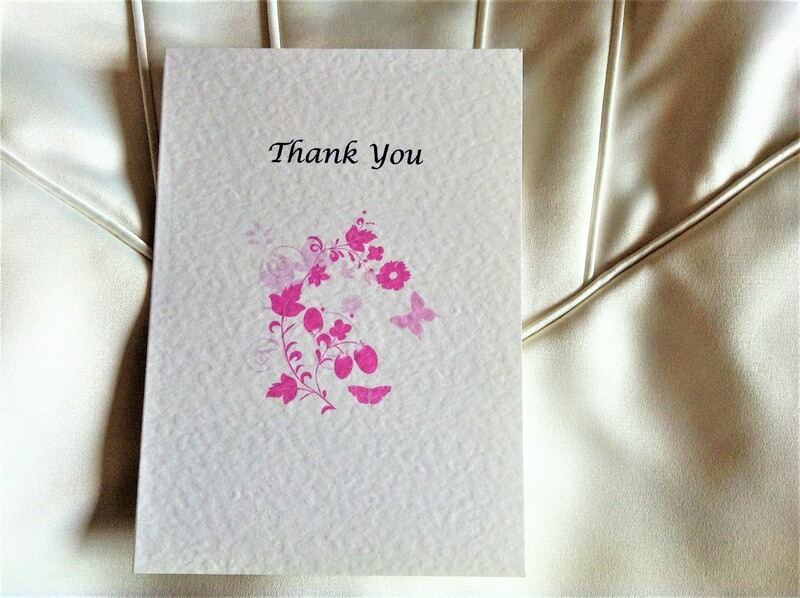 Pink Butterfly Thank You Cards are available for all special occasions when you want to send a personalised thank you. We can print whatever wording you wish. See wording ideas for some short thank you poems. 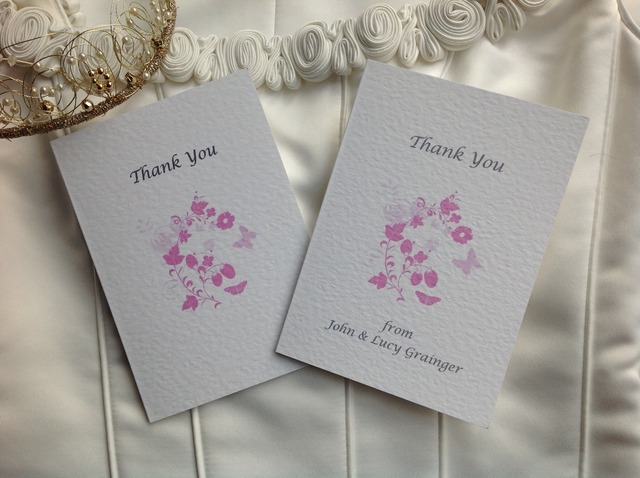 Our Thank You Cards are printed on a thick heavy weight (270gsm) hammered card and are available in either white or ivory. 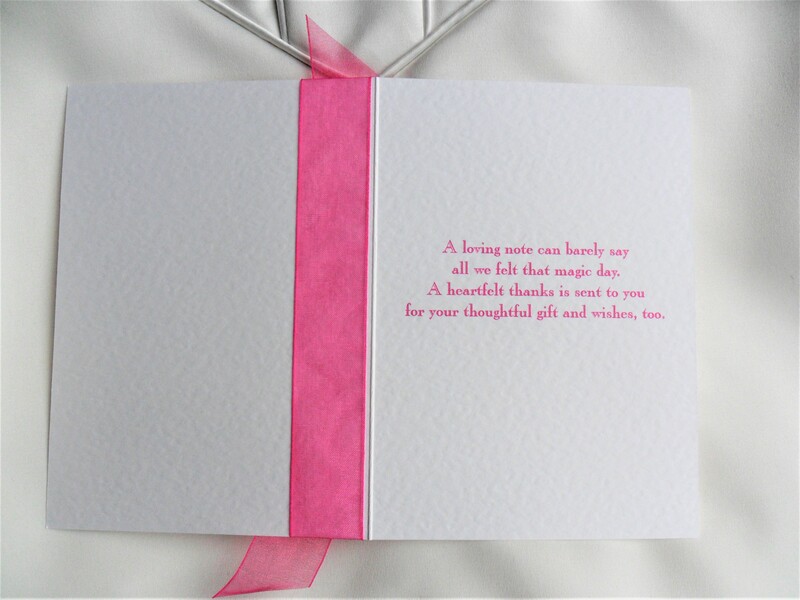 Choose your card colour, ribbon colour and font choice/colour. We stock a huge range of ribbon colours in both satin and organza to match a colour scheme. 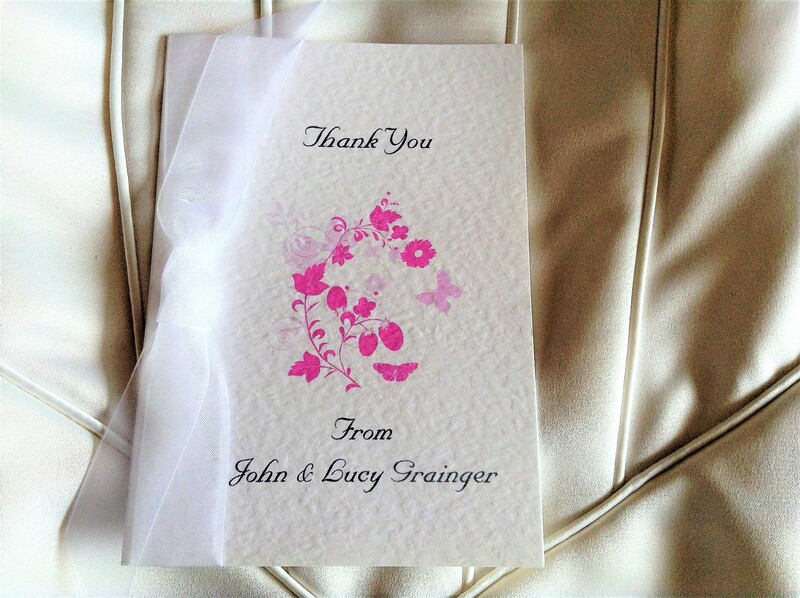 Pink Butterfly Thank You Cards are part of our Pink Butterfly Wedding Stationery. Price includes an envelope with each thank you card. 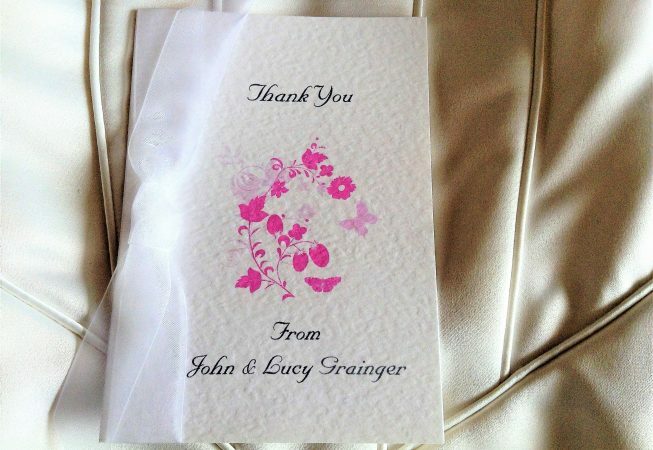 Card can be personalised with guest name printing if required. 10.5cm x 14.5cm when closed (A6).